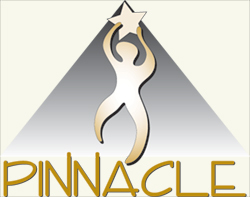 Pinnacle returns in 2015. Join us at the Hilton Anotole in Dallas, Texas, July 15-19. Pre-register before September 30 and freeze the registration fee at $330. Also, those who opt for pre-registration will be the chance to register for the full event classes and tracks before everyone else. Full event registration will be available in January of 2015. PLUS - everyone who pre-registers will be entered in a drawing to win $300 towards airfare to Dallas (as a reimbursement when receipts are presented). Pre-registration requires a $125 deposit which will be applied to your final registration. All but $25 is refundable if cancelled before March 1, 2015 and before you complete full event registration. If you cancel after completing full registration, the full event cancellation policy will apply.